Over the last twenty-five years, medicine and consumerism have been on an unchecked collision course, but, until now, the fallout from their impact has yet to be fully uncovered. 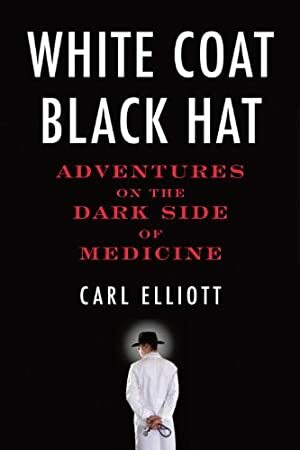 A writer for The New Yorker and The Atlantic Monthly, Carl Elliott ventures into the uncharted dark side of medicine, shining a light on the series of social and legislative changes that have sacrificed old-style doctoring to the values of consumer capitalism. Along the way, he introduces us to the often shifty characters who work the production line in Big Pharma: from the professional guinea pigs who test-pilot new drugs and the ghostwriters who pen "scientific" articles for drug manufacturers to the PR specialists who manufacture "news" bulletins. We meet the drug reps who will do practically anything to make quota in an ever-expanding arms race of pharmaceutical gift-giving; the "thought leaders" who travel the world to enlighten the medical community about the wonders of the latest release; even, finally, the ethicists who oversee all that commercialized medicine has to offer from their pharma-funded perches. Taking the pulse of the medical community today, Elliott discovers the culture of deception that has become so institutionalized many people do not even see it as a problem. Head-turning stories and a rogue's gallery of colorful characters become his springboard for exploring larger ethical issues surrounding money. Are there certain things that should not be bought and sold? In what ways do the ethics of business clash with the ethics of medical care? And what is wrong with medical consumerism anyway? Elliott asks all these questions and more as he examines the underbelly of medicine. Track It. This book has been £2.37 within the past year. Log In to track Carl Elliott on eReaderIQ. to be notified each time the price drops on any book by Carl Elliott. to stop tracking Carl Elliott. We started tracking this book on January 12, 2012. This book was £11.73 when we started tracking it. The price of this book has changed 137 times in the past 2,654 days. The current price of this book is £13.29 last checked one hour ago. This lowest price this book has been offered at in the past 90 days is £11.89. This lowest price this book has been offered at in the past six months is £4.85. This lowest price this book has been offered at in the past year is £2.37. The lowest price to date was £2.37 last reached on August 23, 2018. This book has been £2.37 one time since we started tracking it. The highest price to date was £20.07 last reached on April 6, 2015. This book has been £20.07 one time since we started tracking it. We last verified the price of this book about one hour ago. At that time, the price was £13.29. This price is subject to change. The price displayed on the Amazon.co.uk website at the time of purchase is the price you will pay for this book. Please confirm the price before making any purchases.